The Combined Book Exhibit Inc., contracted Pulse to build a social networking portal that caters specifically to the publishing community. This system was created from ground up by talented Pulse designers and storyboard artists giving it a distinct Web 2.0 feel with a slick interface that has already attracted 100s of members in the first week of launch. Whether you're looking for someone to publish your book, represent you as an author, or on the hunt for the next bestseller, PubMatch.org is your starting point. Create a free account as either a publisher, author, or agent/agency, and explore all that Pubmatch.org has to offer – which is more than you think. Sure, you can find the contact information for loads of publishers or find the perfect agent, but at PubMatch.org, you can also preview unpublished manuscripts, find best-selling books from countries across the world, and post titles you have available for rights transactions. 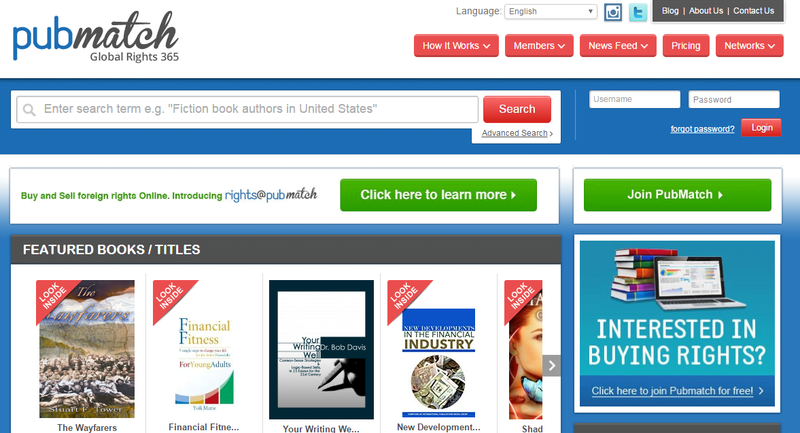 Like an international book fair, PubMatch.org is more than just a place to meet your industry peers, it’s a place to develop business relationships specifically catered to the international publishing industry.